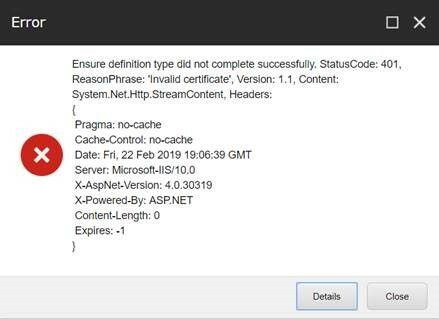 Configuring Sitecore 9.0.2 on scaled environment. On the CM environment when we click any of the items related to our website, we see the exception below. Whereas all the Sitecore ootb items in content tree are not throwing this exception. If this is related to xConnect, we verified that all the xConnect URL are accessible from CM with no issues and we are using exact same certificates in the connection string on CM. Can someone please suggest what this error is all about? Browse other questions tagged content-editor xconnect sitecore-install-framework or ask your own question.